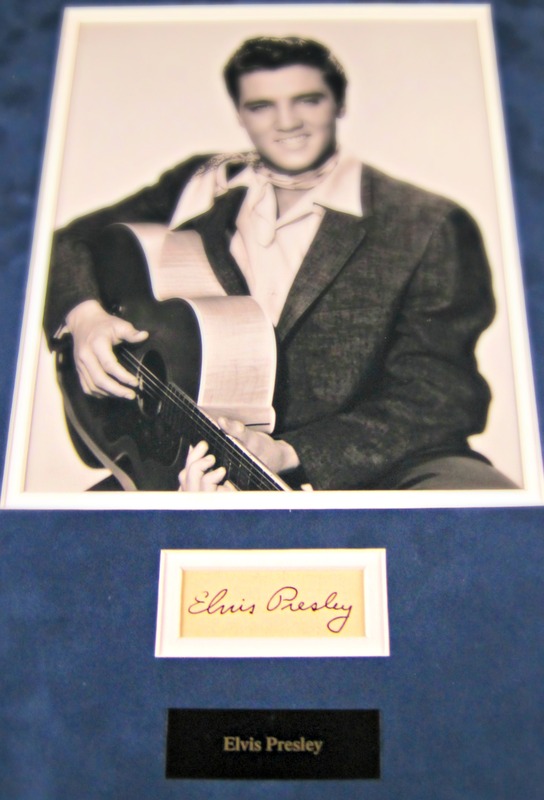 Very rare early in his career cut signature and picture of “The King of Rock & Roll”. 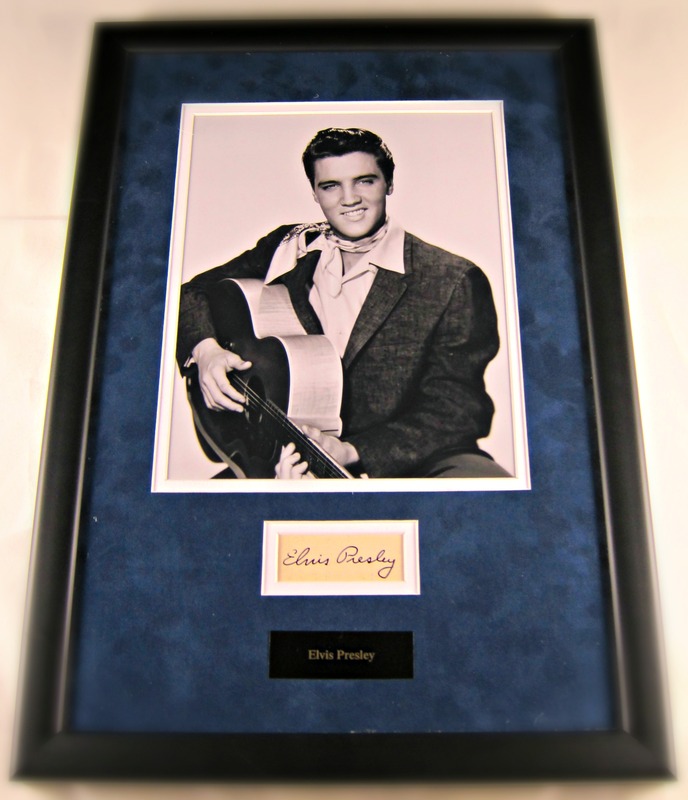 The piece is 13 x 19″ and comes professionally matted (in blue suede) and framed. It includes Letter of Authenticity by Memorabilia Center.